Contributors : Petja Dimitrova, Lina Dokuzovic &Eduard Freudmann, Grupul F.I.A., C.A.R.E. Centre, Carmen Gheorghe, Simina Guga, h.arta, Reni Hofmueller, Katharina Koch, Monica Melin, Nita Mocanu, Katharina Morawek. Feminism reduced to the communist failure of “state feminism”, which, although it led to the inception of an emancipation process by including women on the labour market, ended with the state controlling women’s bodies, through Nicolae Ceau?escu’s birth rate boosting policy. Feminism reduced to the concept of “equal opportunities,” integrated in a context which put competition and meritocracy among the chief elements on which democracy is based. Feminism reduced to women’s possibility to “choose” between having a career and having a family, even if this choice is possible only for women financially capable of making it (since for most women this means dividing their time and energy between work-related responsibilities and housework-related responsibilities, which are often not shared), and even if most women are under constant conservative pressures that makes it difficult for them to renounce the idea of matrimony and motherhood. Feminism reduced to political correctness both in mainstream culture as well as in the discourse of intellectual elites, reduced to an imported form of hypocrisy, alien to the Christian “values” of our people. 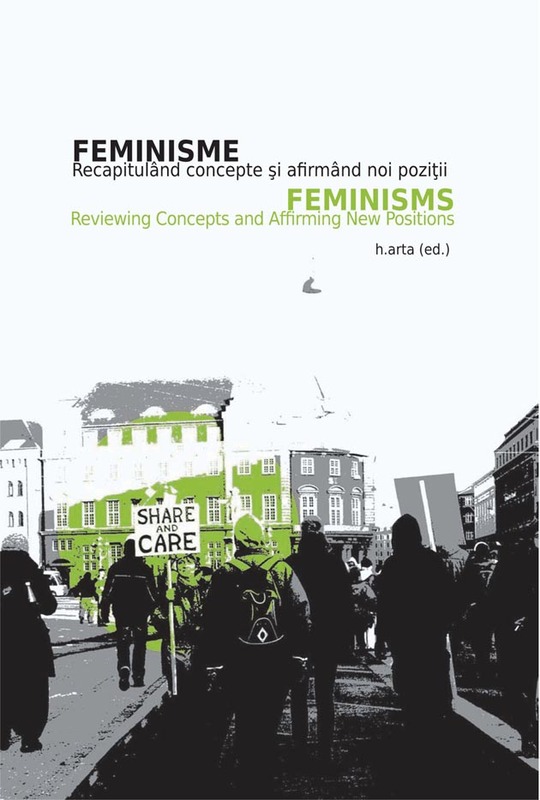 Feminism reduced to a movement that deprived women of their “femininity” and which is aiming to undermine “natural” relations between the two sexes – in a context in which misogynistic, homophobic and racist discourses (which, for example, question Romanian women’s right to abortion but express concern regarding the fertility of Roma women) are becoming a more and more frequent occurrence. These are the meanings of feminism most frequently encountered in the mass media and public addresses. These interpretations range from an inclusion of feminism in a neoliberal apparent democracy in which women are important as participants in consumerism, to a conservative condemnation of feminism as a dangerous trend that undermines “natural” gender roles, or a trend that is alien to the orthodox foundations of Romanian culture. Reacting unfavourably to these interpretations and replacing ideology with genuine interest for real people’s lives, different initiatives, groups and persons act upon the knowledge that it is necessary to approach feminism not as a label, but from multiple angles which allow the exploration of this mobile and flexible semantic and action platform. As a result of cooperation with some of these groups, we organized between September, 2008 and May, 2009, a project entitled Feminisms. Histories, free spaces, participatory democracy, economic justice, a project which aimed to be a place of reflection on different feminist practices in Romania and abroad, on those questions, actions, approaches and practices which questions situations considered “normal,” which create new spaces and enlarge perspectives, which engage our creativity and courage to believe that there are alternatives to the existing system, that there are freer, more democratic ways and dignified ways of living, and that finding these alternatives depends on the gestures and actions of each and every one of us. This publication is an outcome of our project. Starting from topics discussed in Feminisms, such as the importance of assuming feminist positions and methods in education, women’s labour, and precarity, the issue of feminist visibility and visibility of gender topics in general, the need to create spaces that are free of inequality, spaces where a more democratic and inclusive society can be projected, we have put together the chapters of the present book. This book aims to be a manual covering different aspects of feminism: labour and precarity, gender mainstreaming and postfeminism, heteronormativity, feminist education, transnational feminism. Each of these chapters are nuanced by “supplementary reading” consisting of texts and artistic interventions that, in their majority, have a connection to the events that took place in the project. These contributions, as examples of analysis and resistance, are the ones that actually give substance and concreteness to the concepts explained in the chapters of this book. In 2006, we put together About Art and the Ways We Look at the World, a guidebook that resulted from our work as teachers and our practice as artists interested in triggering learning. About Art and the Ways We Look at the World was the outcome of our search for ways to teach and learn that go outside the narrow perspectives that so often present the only “Truth.” The decision to edit this book in the format of a manual addressing a wide circle of people and with a practical purpose, came from the same desire to avoid narrow definitions of the kind that this introduction begins with. This publication is aware of its own limitations (some of a practical nature, such as the fact that we only had access to Romanian and English texts during the research stage, but also conceptual limitations deriving implicitly from the first category – since perspectives from certain parts of the region and the world remain unknown to us). Who determines what is relevant? Who has the power to give definitions? Whose experience is relevant? Why do we learn the things we learn? How can we establish which information is important to us and to our peers? How can feminist strategies and perspectives be used to analyse the power structures that global capitalism relies on? How could we best catalyse a process by which knowledge can no longer be the instrument of a society based on inequality, and how can we make it the instrument of dialogue and achieving a less suffocating reality? The format of this book was also influenced by the nature of its relationship with the audience of our project. Because this project was a platform where different fields intersected, a debate arena that did not exclude domains other than art, we had not only a very diverse audience, but we even became the audience for the activities that our guests performed and the topics they brought to the discussion table. This fluid understanding of the concept of “expertise” involving both ends of the transfer process was the underlying premise of the way we decided to organize the contents of this book. This kind of book is a learning instrument both for us (who have been editing it at the same time as learning more in-depth about its topics) as well as for its readers. This seemed the most appropriate manner to reflect a project that aimed at being a prototype for methods that trigger knowledge anchored in daily life and situations that impact on how we acquire that knowledge. These methods are the result of cooperation and sharing by people from different environments and contexts, and they are permanently under scrutiny and change.